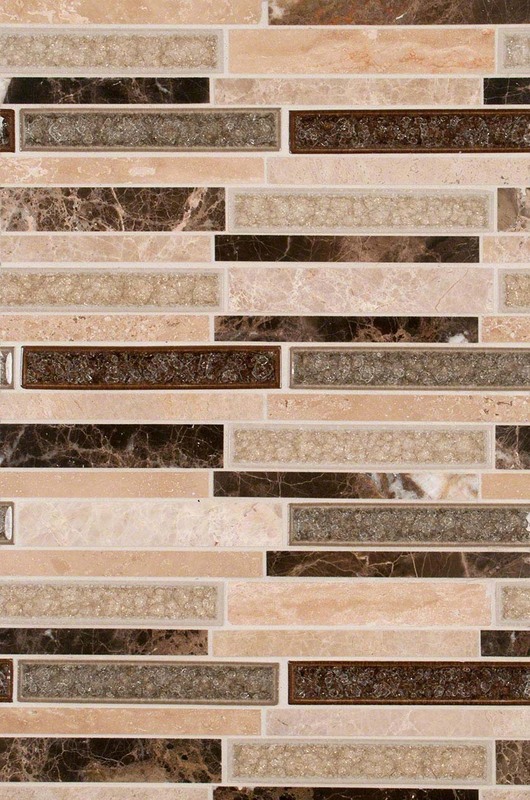 Rich coffees, toffees, creams, and cinnamon tones highlight the beauty of the natural stone and glass tiles in this backsplash tile design. Stonegate Glass Stone Blend is perfect for bathroom and kitchen backsplash tile installations where a textural and visually stimulating combination is desired. It complements transitional and contemporary design styles.